Welcome - Let us show you around! Take a Virtual Tour! 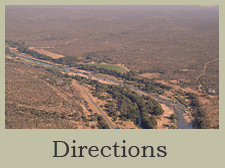 Hippo Pools Resort is a friendly and intimate holiday resort situated on the banks of the mighty Olifants River. The resort is in close proximity to the Kruger National Park with two of the most popular main gates within 45 minutes’ drive. Only 22 km from Hoedspruit and within easy driving distance of local tourism attractions of the area, the resort is an ideal base to explore and enjoy the best that the Lowveld has to offer. Hippo Pools Resort has variety of accommodation options, with something for everyone - from family groups to business travellers looking for an overnight stopover. Cosy thatched Rondavels and poolside rooms at the main resort complex offer accommodation for couples and smaller families. Just a short walk away from the resort and nestled under jackalberry, wild fig and leadwood trees are the riverside houses each with three bedrooms, splash pool, and spectacular views over the Olifants River. All rooms are well equipped for self-caterers. 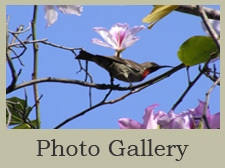 The Resort has its own restaurant, licenced bar and tea garden that are open daily. Light snacks can be ordered at any time and pre-bookings can be made if you require breakfast and/or dinner. 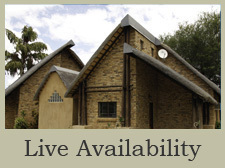 Hippo Pools Resort is also the perfect venue for conferences, functions and year-end parties. Our quaint little chapel under shady trees and next to the river provides a romantic setting for weddings both large and small. Access to the resort is by tarred road and for the aeroplane enthusiasts; the resort has an 800 metre tarred runway. Planes can be parked within viewing distance of the rooms and both fly-in weekends and fly-out breakfasts can be arranged. Hippo Pools Resort is home to a range of resident wildlife including the wallowing hippos who are our namesake! They can often be found relaxing in the pools of the Olifants River right in front of our riverside houses. 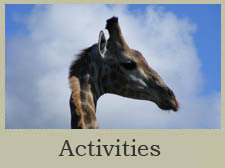 Waterbuck, duiker, vervet monkeys, baboons and banded mongoose are often spotted, as is an array of fantastic bird life. Our bird list includes kingfishers, fish eagles, marshal eagles, trumpeter hornbills, rollers and even the elusive Pels fishing owl have been observed, to name but a few. If you are looking for a relaxed yet professional atmosphere with the perfect location and something for everyone, then Hippo Pools Resort is the place to stay!